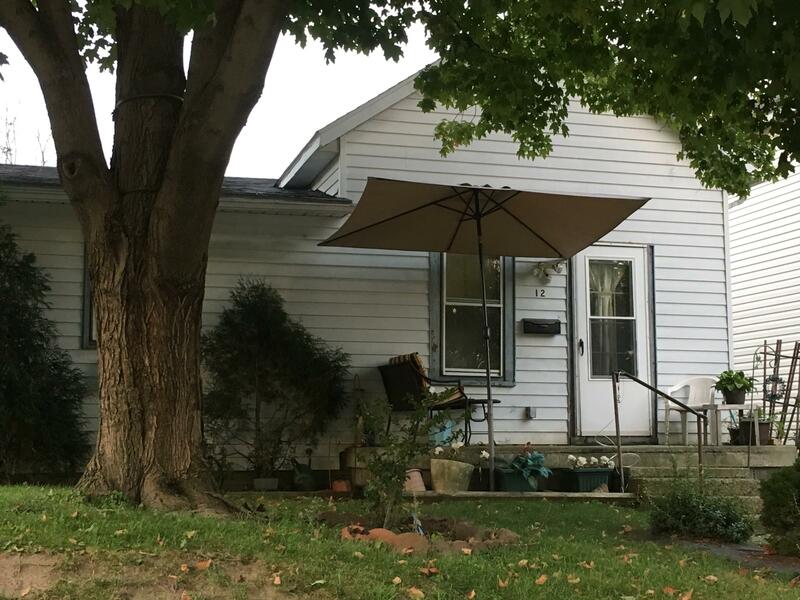 This house, according to CrimeReports.com, had 177 incidents at it from January through September. The catch? Almost none of them actually took place here. Flannelly showed heat maps depicting where the greatest concentration of certain crimes happened in 2015, and he talked about how the mapping is helping the department better target high-crime areas. But when WBAA checked up on those crime abatement efforts six months into this year, an anomaly stood out. One house, at 12 Grant Street, was listed on CrimeReports.com as being the site of about 5-percent of all major crime in the city – 177 incidents through the first nine months of the year. So WBAA asked Lafayette Police Lieutenant Brian Gossard to pull up the data on his office computer. It puzzled him, too. But he had a theory. “The only thing I can think is this is kind of a central location," he said. Turns out… he was right. “The default setting in the filters in geocoding is to take that data point and to place it on the geographic center point of the city," Jones says. Jones says they’re aware of this type of error, but Motorola’s Steve Sebestyen says most police departments don’t mis-label 5-percent of all major crimes, as the LPD has in 2016. Jones and Sebestyen both say the LPD hasn’t reached out to their companies about the issue and they weren’t aware of it until WBAA contacted them. But LPD Chief Pat Flannelly says he’s not worried about it negatively affecting policing. “That’s for information only. That’s not going to make or break public safety,” Flannelly says. Flannelly claims his department’s internal system – which interacts with CrimeReports and which the department uses to identify problem areas -- is near 100-percent accurate. But crime mapping experts like George Mason University criminology professor David Weisburd say while that’s a good start, it’s not good enough. “We should give the Lafayette department credit for providing data to the public. Some departments are very non-transparent in this regard. Of course when you do that, you can get yourself into trouble. One of the problems here is: that they shouldn’t be providing data to the public that’s less accurate than the data they have in the department," Weisburd says. Oh, and about that house? When we visited the house at 12 Grant Street, the only person to greet us was a fairly friendly black Labrador who came to the door. There are two separate signs out front that say "welcome," there’s a bench on the front porch with an ashtray near it. The lawn is mowed; there’s landscaping out front. it's not the kind of place you'd think would see 177 criminal activities in the first nine months of the year. And, of course, that’s because it’s not – even though information the LPD gave CrimeReports.com says it is. “The level of effort and procedure that you put into ensuring that data quality and validation on the front end is consistent allows you to have better analytics on the output,” says Motorola's Sebesteyn.